Enjoy a one of a kind ride through beautiful and varied landscape with the luxury of a local guide. With you every step of the way, your guide acts as your wine connoisseur, confidant, and chauffer all in one! 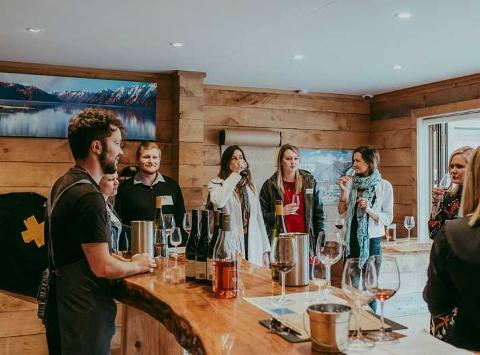 The half day wine tour begins from your central Queenstown accommodation or the town centre and brings you to the historic village of Arrowtown to begin your adventure. 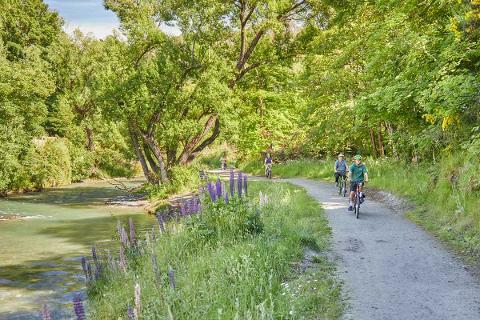 At the trailhead, you will become acquainted with your e-bike, the trails and safety considerations. Your guide will ensure it is sized and adjusted specifically for you and ensure you have all you will need for the afternoon. Our ebikes are outfitted with panniers to carry your gear. We provide water, snacks, and a rain cape and there is plenty of room for shopping or wine you might indulge in along the way. After a short introduction to your ebike and its controls and a little practice, you will be on your way! 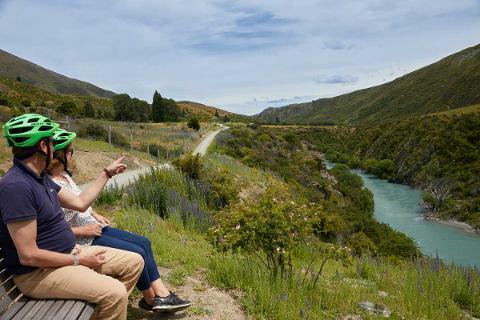 No need for a map on this Queenstown Wine tour, as your local guide will be with you for the duration. 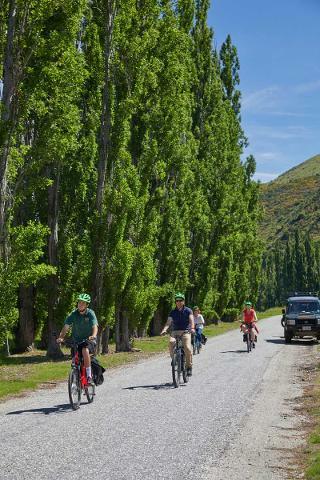 Leaving Arrowtown on a beautifully scenic and well-maintained track, you will head along the Arrow River towards the Gibbston Valley. 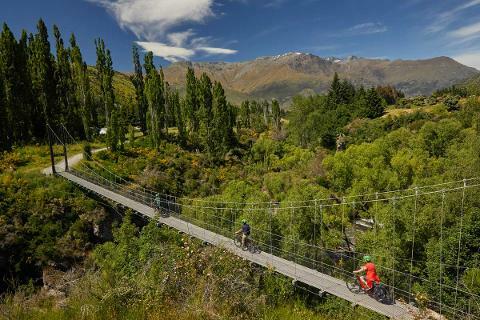 The gentle trail zigzags across the Arrow river featuring three bridges and two impressive suspension bridges, through quiet country lanes, along grazing farmstock, and through spectacular mountain scenery. 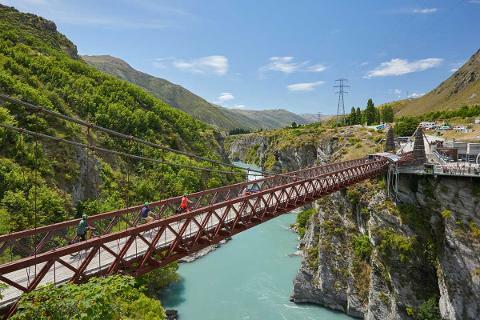 The track winds its way through the stunning scenery and passes through the Kawarau Bungy Centre on the way. Stop here and enjoy the architecture of the building, the historic bridge, the washrooms and lovely cafe while you watch the brave jumpers. Leaving the Kawarau Bridge, the trail again winds along the shockingly blue Kawarau river, used as the river Anduin in the Lord of the Rings films, with beautiful cliffs on one side, and the luscious vineyards of the Gibbston Valley on the other. The world-famous region is known for its pinot wines and craft beers. Take the time to stop and enjoy of course! 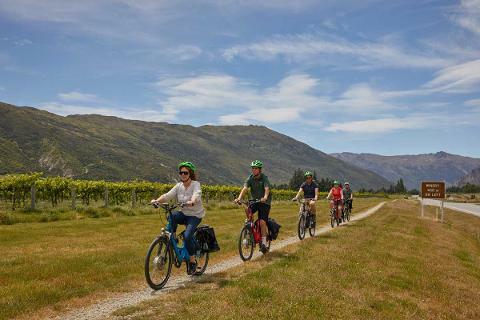 The ride will finish at Kinross Cellar Door in the heart of the Gibbston Valley wine region. Relax and enjoy your reward. Kinross Cellar Door exclusively represents Coal Pit, Domaine Thompson, Valli, Wild Irishman and Hawkshead and their own recently released label. These are 6 boutique wineries are world famous and only available here. Your tasting flight is including in the tour. Kinross also offers an impressive array of food to pair with your wines if you choose. 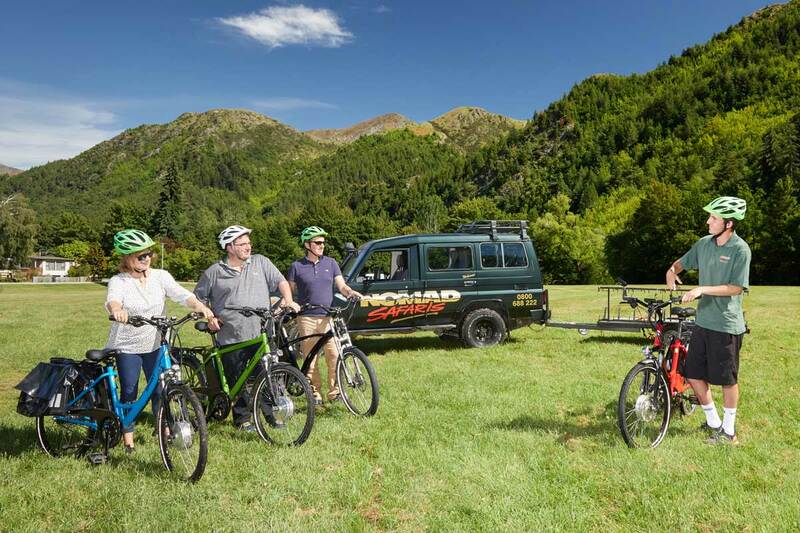 After your group has had their fill, relax in our vehicle for your transfer back to Queenstown. Depending on the speed and ability of the group, the route may be modified.